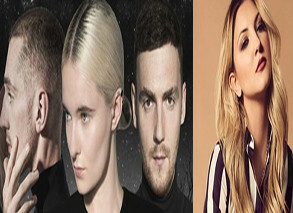 Following “Rockabye” and “Symphony“, Clean Bandit have another potential hit in their hands and it’s called “I miss you”. The emotional track sees vocals from singer-songwriter Julia Michaels, who is most known for penning hit songs for other pop stars (Justin Bieber, Pink, Gwen Stefani). “I miss you” is the Clean’s fifth single with a female lead vocalist but the band swear they have nothing against men’s voices.